There are no jobs more important than making sure every worker gets correct payment for their time and efforts. HR managers and business owners across the country will agree that managing salary and hourly pay, while subtracting benefits and such without proper tools is a complicated task. Luckily, Toronto-based payroll software company Wagepoint has launched a new online application that will make the painstaking process a more bearable and—dare I say— even enjoyable endevour. The fully automated, cloud-based payroll software can be set up with just a few clicks. There are two plans that users can choose from. The Free plan offers the fully featured app as an alternative to the CRA calculator. But for a $20 base fee and $2 per employee per payroll, users with the Pro plan are allowed to use the direct deposit feature, enabling administration to deposit funds straight to the employees or contractors’ bank accounts. Also the Pro plan takes care of the government remittances and issues T4s at the end of the year. Wagepoint’s Pay offers many more features that separates it from the common spreadsheets and data entry software administration uses to manage wages. These features include employee self-service, which reduces paper trails and waste, while allowing employees to access their electronic paystubs anytime. Another one of Pay’s features is helping to manage the different type of workers that needs to receive compensation: hourly versus salaried and employees versus independent contractors. With Pay all the data will be centralized so all workers will receive the appropriate amount with less errors and confusion. After the first payroll with Pay, businesses can choose to use the Auto-Run Payroll feature to manage their payments if there is nothing new to report. This feature can be turned off at anytime, but if left on it will automatically send payments to employees and the government at the appointed time. Wagepoint makes the payroll task light and easy, but they also understand the critical importance of security. Pay’s data is encrypted using 128-bit secure socket layer (SSL) encryption. Wagepoint utilizes state of the art firewall and backup technology and the data is kept in a high-security, access-controlled Tier 3 facilities. Last week, Tapped Mobile announced its official launch in Canada, offering brands a new approach to marketing. The Canadian mobile advertising market will grow by over $135 million this year, and Tapped Mobile is partnering up with leading mobile ad tech companies to bring the highest quality products and services to Canadians. Some features that Tapped Mobile’s partnerships will deliver are store-level mobile location data, first video ad units with social sharing, several in-stream video ad units, location-based retargeting, mobile research and many more. Tapped Mobile was founded by Jed Schneiderman, Eric Shedletsky and Mark Shedletsky in 2012 with its headquarter in Toronto. The executive team combines for over 25 years of marketing, ad sales and mobile start-up experience. Schneiderman was a senior management at Microsoft and CTV before he founded Tapped Mobile. He also took on a strategic marketing role at MTV, AOL, and Procter & Gamble. 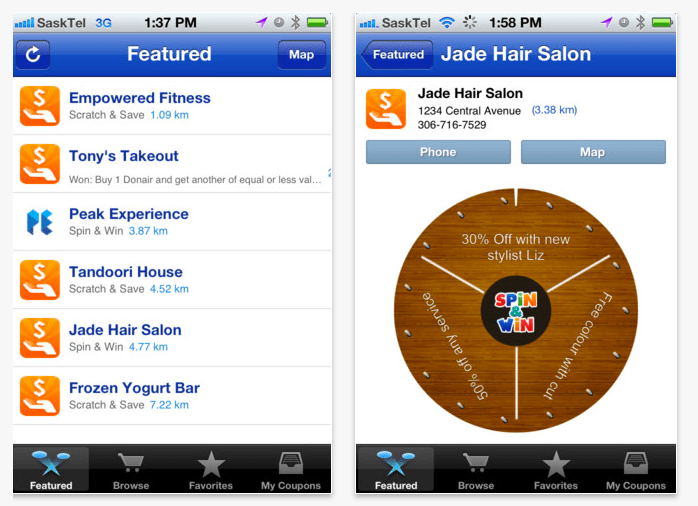 Several Canada’s top brands have already signed on with Tapped Mobile. After six months of operation Tapped Mobile have been advertising across different sectors including wireless, cable, auto, consumer packaged goods, QSR, travel and more. Brands and companies are paramount to technological innovations and Tapped Mobile, with its respected reputation will be expected to deliver top-notch ad tech for companies across the country. With Canada’s mobile marketing industry in high demand, there is no better place to start than here. The tricycle engine roared loudly down the silent Bayombong streets. I had my fair share of gin and I was drunk enough to do anything, but I had no idea where I was. Gripping onto the sidecar of the tricycle, all I knew was I was following my friend’s family through the small residential back alleys in the Philippines, or were they the main roads, it is hard to tell here. We finally came to a stop and we all squeezed out, all six of us on a motorbike and a sidecar. There was a hawker’s stand on the corner of the street. Several lights hung above casting a haunting glare. A lady stood in the shadows; she had a bowl in front of her. I approached—undaunted, uncertain. A pile of eggs sat in the little porcelain nest. Someone gestured to one of them and I helped myself. But before I could grab one, the lady selected one on my behalf. She struck it with a spoon, ripped off the shattered shards and handed it to me. Perhaps I should have had the classic Western reaction to an egg embryo, but I’m Chinese. I had duck embryo before. Still the idea of serving eggs on the side of a street in the middle of the night was still far enough from the norm for me to enjoy the novelty. I was too drunk to pick at the bits and pieces of the little baby bird, so I just shoved the whole thing into my mouth. I felt the feather, an uncommonfeeling against my tongue. But that sensation was dwarfed by the sudden crunch of the bone. I bit down and a tangy, yet savory flavour. It was a surprising taste, that wasn’t horrible. The texture confused my tongue as it wrapped around the orb of yoke beneath the skeleton. It was still solid so I needed another bite. The hemisphere separated into two crumbling bits. There was no room in my mouth to do anything else—I must swallow. My memories are unclear, whether the digesting process took a long time, or if I had inserted another embryo into my mouth before I finished the first, I wasn’t sure. I was enjoying myself, but my companions were grimacing. I felt a little pride, though I know there really wasn’t anything to be proud of. I expected a complement from the locals, but there was nothing to complement. All I really did was eat an egg. But when you come from the West where stores don’t even open pass midnight, finding an egg embryo stand in the dead of nightwas something worth celebrating. Romance: a perpetual cloud hanging over our heads—or not. Sometimes it’s violent like a thunderstorm, other times it’s a wisp in the sky-refracting sunlight upon us. Either way, we yearn for it. But it’s not easy in this modern world: a relationship is as hard to get and keep as a full-time job. So with the advantages of Internet dating, why are we still reproachful of it? Why do so many consider online dating sites to be for the desperate, the lonely, and the horrifyingly unkempt? Is it ever going to change? 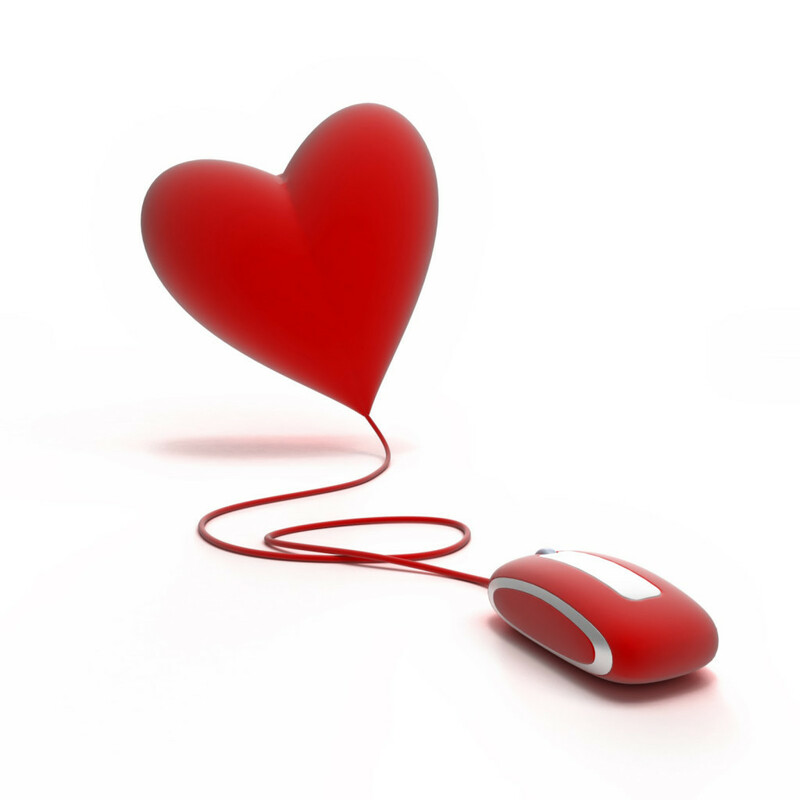 Dating sites exist across the globe and they’re gaining popularity. What began as a trend in the early ‘90s is now a million-dollar industry. So why is it not like Facebook? Why are so many individuals not on Plenty of Fish (POF) or Match.com? It’s because finding a meaningful relationship isn’t as simple as picking apples out in the produce section. We choose to go to certain bars and nightclubs instead of others because we enjoy the scene, the music, and most importantly, the people there. It’s easier to interact with someone if they have similar tastes and interests, and dating websites understand that—that’s why in recent years the Internet has exploded with different sites appealing to every kind of person, from exotic travelers looking for companionship to married individuals seeking affairs. Yep, once we get over the stigma of online dating, odds are we will never be alone again. Ultimately, the fear of loss, rejection, and humiliation are what keep online dating at arm’s-length. Then again, heartbreak happens in physical relationships too. How often do you see two friends dating each other within a friend circle, and when the inevitable breakup happens, one of them is cast away from the group? Some people, myself included, consider this form of intimacy to be even riskier. We do a lot of shameful things in the name of love, so why are we still condemning Internet dating? Drunk girls and drunk boys, pull yourselves together and reevaluate what you really want. You can choose follow your heart, but there are many paths leading to your happy ending, and Internet dating should no longer be the road less traveled. When he suggested that you both meet at the local Quiznos for dinner, you were surprised. After all, it’s one of the finest establishments you know. Sure, you often find yourself being frugal and going to Subway instead, but you get what you pay for. Mesquite, Honey Bacon Club, Prime Rib Peppercorn: the selection is endless, or perhaps you’re just indecisive—like your selection of men. Negative thoughts, go away, and think only of Quiznos today. You arrive a bit early, a force of habit. The cute mustached high school student behind the counter smiles at you. You smile back. Don’t play these games, you tell yourself; he’s not the one you’re waiting for. Sitting near the glass window by the door makes you feel like an animal in a zoo, people walking by glance at you. What are they thinking? Did they see how pretty you look? Did they see how desperate you are? What will he think of you when he enters? Tension is building, you want to flee, but it’s too late. Your eyes and his connect like a laptop to Quiznos’ free Wi-Fi connection. “Come here often?” he asks as he embraces you with his strong, masculine arms, engulfing you with the scent of Tag body spray. So this is how the courtship begins. As your sandwich is being made, you imagine the two of you lying on the flat bread and layering lettuce, tomato, cheese, and honey mustard all over your bodies. You lick your lips and look up to him. His eyes glow seductively; he might have just been reading your mind. “Toasted?” the lost Mario brother employee asks. “Always,” you answer with a wink. In your mind, they fought for your honourable hand using sandwich meat as weapons. You take your sandwich, find a seat, and wait. He arrives moments later with a tender smile, just like the savory Black Angus Steak in his sandwich. “Hungry?” he asks, unraveling his meal with the meticulous dexterity of a certified sandwich artist. “Starved,” you say while peeling back the wrapper clumsily. You take a bite, the crust crumbles, the meaty inners tear apart and the sauce dribbles down your chin. You wonder as you look up at him: can a man compare with a sandwich in bed? You’re compelled to ask, but you’ll find out soon enough. Toasted? Always. Equity crowdfunding had always posed as a risky means for struggling startup businesses or a financial threat. As US policymakers determine the potential outcome of equity crowdfunding, the Rotman School of Management in Toronto produced a research paper aimed at helping them approach the most positive conclusion. The paper will be included as a chapter in the up-coming volume of Boston’s National Bureau of Economic Research. From disaster relief to artist works, many are using non-equity crowdfunding to help grow their projects. There are currently more than 200 non-equity crowdfunding platforms. Often they allow people to utilize the Internet to garner small contributions in the form of donations or in return for a reward. Currently only accredited investors are allowed to raise business capital using the platform. US regulators are working carefully in an effort to open the market to anyone. In 2012, the Obama administration introduced Jumpstart Our Business Startup Act, but regulations from the Securities and Exchange Commission is still pending. In order to reduce potential risk, the paper says that entrepreneurs using equity crowdfunding will have to address costs for fraud, incompetence and creating unrealistic goals. “It feels like we are being far more protective of people making mistakes buying small amounts of equity through crowdfunding than we are of people making mistakes buying other goods and services on the Internet that are sometimes fraudulent, of lower-quality, or overpriced,” said Agrawal. Advertising and marketing to customers is not always fun—sometimes it can even feel intrusive and be annoying—but Saskatoon-based software startup Rsl Labs Inc. has developed a new iPhone app to make the process enjoyable and rewarding. OfferMe allows businesses to advertise their products and services by using interactive prizes. Rsl Labs has received positive feedbacks after testing OfferMe for a few months now. Consumers using the app will be able to earn prizes, discounts and rewards from scratching a feature of the app or spinning a wheel. OfferMe makes communication between businesses and consumers quick and easy, especially for time-sensitive or limited quantity discount offers. “We currently have 2,000 downloads of the OfferMe app in Saskatoon. As more businesses register and the word gets out we expect that number to increase substantially. In the next few months, we will be releasing the app on other mobile platforms as well,” says Lakhanpal. Vancouver-based Sodraft is aiming to be the major league of fantasy sports. Krishna Joffile, founder and CEO of Sodraft, recognized that the current fantasy leagues in the market, although served as a satisfying pastime, left a lot to be desired. Joffile as a fantasy sport fanatic himself wanted a more socially engaging platform, a wider selection of competitions and a chance to win cash prizes. Fantasy Sports Trade Association estimates that during 2011, one in nine people in North America are in at least one fantasy league. So it only made sense that that large group of people has a chance to interact with each other, negotiate about sports or just banter on about their favorite teams and rivalries. “Everyone within our target market who has tried our draft loves it, and we know the total market is large enough that we will have success in some capacity,” said Jolliffe. “We just need to create awareness, and I am confident our innovative Indiegogo campaign has the power to reach a large portion of our target market and let them know who we are and what we do. They have officially launched their Indiegogo campaign last week in hopes of gaining funds to help run a beta test for the 2013 NFL fantasy drafting platform. Sodraft has created a true social fantasy experience with their new platform. It combines the key functionality of a social networking platform, where users can choose to play, share and compete with as many or as few opponents/friends as they want. If Sodraft meets their fixed funding goal of $20,000 by August 10, they will make the beta platform available to the public by August 29. A serpentine draft simulator, X-Draft, powers Sodraft’s drafting platform. It generates approximately seven trillion unique teams combinations, while still keeping the traditional snake-drafting format. Sodraft has partnered up with Lavatickets.com, StarStreet.com and CarboardMemories.com. They will also be offering contributors and members perks that ranges from $20 event credits to historic sports memorabilia. Cleaning—even the word itself—causes some people to cringe. It doesn’t matter how important it is to maintain a healthy living environment, people still dread sweeping floors, scrubbing sinks and vacuuming carpets. After a long day’s work, the last thing we want to do is come home to a messy house or have to do chores for another couple of hours. Cleaning takes time and effort and Y Combinator startup, Homejoy wants to help Canadians out. Founded in 2012, Homejoy is an on-demand home cleaning service that connects people with professionals. After the clients enter some details about their home and select a convenient time, the service will process the information and book a cleaner to take care of the mess for $20 an hour. Brother and sister, Aaron and Adora Cheung founded Homejoy, by raising $1.7 million in seed funding from Andreessen Horowitz, Max Levchin, First Round Capital, Paul Buchheit, Resolute.vc and others. The company now has over 60 employees nationwide. All cleaners associated with Homejoy goes through a selection process, including background checks and in-person interviews, also they must receive good reviews to stay on-staff. Cleaners assigned are personally selected for the client’s need and are bonded and insured. After its launch in San Francisco, Homejoy received great demand for its services. Within the last six months, the company had expanded into 22 markets, including Toronto, their first international destination. The choice for Homejoy’s expansion is no surprise, Toronto is not only the largest city in the country, but it also has a booming startup scene. Eventually, the company intends to expand the firm from Mississauga to Scarborough and many more. Homejoy doesn’t only help people with dirty homes; they also assist service providers, but creating a bridge for both clients and cleaning professionals. Currently the company has a partnership with over 500 cleaners in the United States and the numbers will surely grow as they expand. Whether you have an unkempt house or just some dirty laundry, Homejoy is happy to assist with your domestic duties. Corporate companies that offer cleaning services to their workers have seen an increase in productivity and a healthier balance in their professional and personal life. There are over three billion people in the world with jobs and one third of them are independent workers. According to Statistic Canada, Vancouver has about 150,000 people working from home, coffee shops or some alternative space. In 2008, Penstock was one of those nomadic independent workers trying to be productive in his living room or subletting space from a law firm. The idea for Water Street Profile, a co-working business club, materialized after several businesses sharing the Gastown office suite with Penstock moved out. He began managing it and saw an opportunity to develop an inspiring office space for diverse professionals who want to create passionate projects and coexist with other supporting workers. A workspace can be any place with a desk and a chair, but Water Street Profile aims to be more. The objective is to create an inviting community for each unique profession, whether they are artists or technology experts. Work/life balance is a core value and that is why the company has designed the space to be more than a collection of cubicles. Café and lounge areas allow workers to take a break from the sometimes engaging, yet sometimes monotonous job of running a growing company. However, managing a business is not all fun and games. Building a startup can be an intimidating task. Water Street Profile recognizes the important of having a premium business profile; they are after all named after it. They offer all the help young companies need to start their business, from implementing front desk services, handling couriers and other basic business services. Water Street Profile’s recent expansion has doubled their size to 10,000 square feet, totaling their working space to 35 hot desk, 22 private offices, eight board rooms and meeting spaces, a bike room and two cafes. Although co-working spaces such as Water Street Profile are a pretty new concept, large corporations around the world are embracing the structure after seeing positive results from mixing up individual workers on each team. When it comes down to it a good workspace is a place you feel comfortable in and a space that inspires you to do the best work possible. It just so happens that The Landing, built in 1905, one of the oldest buildings in Gastown, Vancouver is contributing to the growth of the cities rising startups as well as sustaining the quality of work from established companies.